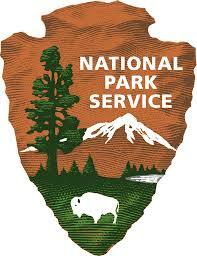 The National Park Service will host two Junior Ranger Day events and interpretive programs on Alcatraz Island on Saturday, May 2 and Sunday, May 3, 2015. The purpose of Junior Ranger Days is to highlight the Alcatraz Junior Ranger Program, including special ranger walks and other youth specific activities. In addition, Junior Rangers may purchase a Junior Ranger Book for a $2.00 fee at the retail stores located on Alcatraz Island. The booklet includes a variety of site specific activities. Those who complete the activities will be sworn in as Junior Rangers and receive a Junior Ranger Badge. A limited number of complimentary tickets are available, therefore a maximum of four complimentary tickets are available per group or family and there must be at least one youth (between the ages of 5-11) in the group. Children must be accompanied by at least one responsible adult, age 18 or older. To book Junior Ranger Day tickets, please call the Alcatraz Cruises Group Services Department at (415) 438-8361 by no later than May 1, 2015. 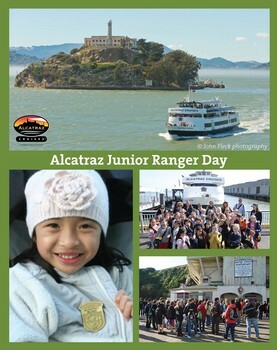 (Note: tickets for Junior Ranger Day are not available online or at the Pier 33 ticket booth). Alcatraz Cruises is the National Park Service only concessioner for ticketing and ferry transportation to Alcatraz Island, part of the Golden Gate National Recreation Area. More than 1.5 million visitors go to Alcatraz Island annually. It is a top visitor destination in San Francisco. Conveniently located just 15 minutes south of San Francisco, the beautiful beach-front town of Pacifica is a great overnight destination option for San Francisco Giants fans who are traveling to the Bay Area to watch the 2014 World Series Champions. Beginning with the 2015 Giants’ home opener on April 13 through the entire season, Pacifica’s six properties will be in full swing with lodging options that range from budget to moderately priced accommodations, plus the added bonus of FREE parking. Pacifica offers six lodging options in the budget to moderate price range and all are within walking distance to Pacifica’s beaches. Four are located at Rockaway Beach. The largest with 97 guest rooms is the Best Western Plus Lighthouse Hotel, a full-service hotel situated on Rockaway Beach with spacious accommodations, beautiful ocean views, a swimming pool and the upscale Moonraker restaurant. The Holiday Inn Express Hotel & Suites Pacifica provides very comfortable accommodations with ocean views and a complimentary hot Express Start Breakfast Bar, which has an outdoor deck overlooking beautiful Rockaway Beach Cove. Offering a dash of Victorian charm is the pet-friendly Pacifica Motor Inn and adjacent to Nick’s Restaurant is the Sea Breeze Motel, which is very convenient for those looking to dance the night away at Nick’s. In addition to offering competitively lower prices and FREE parking, Pacifica’s hotels are ideally located amidst a myriad of outdoor activities and popular restaurants. For those that are interested in viewing the northbound journey of migrating whales, Pacifica sets the stage as an ideal viewing post because of the many inlets and close proximity to the route and “playground” of these magnificent creatures. Some of the best viewing platforms are from the coastal bluffs of Mori Point, Rockaway beach trail, Linda Mar State Beach, the Pacifica Pier and Devil’s slide walking trail. The northern migration of gray whales generally attracts 20,000 whales and lasts from February through April. The whales, including mothers and calves, travel closer to the coast on the northbound journey, so this is usually the best time for whale watching from the shores of Pacifica. 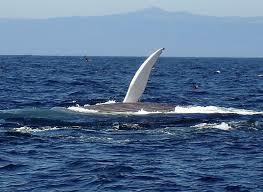 Blue whales are not as common as gray whales, but there’s an estimated population of over 2,000 on the west coast. The blue whale migration follows a pattern similar to the gray whale, but they don’t seem to travel such long distances, or to travel as close to the shore. Blue whales are typically seen along the Central California coast, with Pacifica at the center of the action. Whale watching season for blue whales lasts from late spring to fall. As for the humpback whales, they are very acrobatic. The population along the California coast is only about 800. Prime whale watching season for humpback whales is in the summer and fall, with the largest number of sightings along the Central California coast. For more information, check the Whale Watching calendar athttp://gocalifornia.about.com/od/topcalifornia/ss/Whales-Dolphins-California-Coast_11.htm.